After being together for 27 years, Eric and Carmen finally tied the knot in a private ceremony back in December. To celebrate, they brought on So Smitten Special events to help plan a reception/rockin' party, which was held August 22 at their beautiful home in Huntington Beach, California. 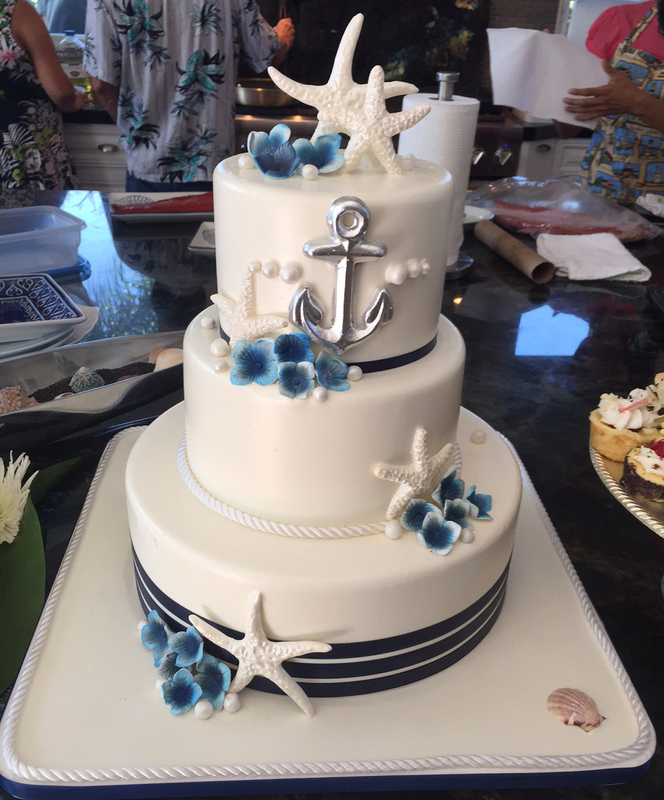 We worked with Carmen to design a sophisticated nautical theme, as well as to figure out how best to prepare the indoor/outdoor space for 85 guests. Carmen also utilized our decor rentals and had us create the custom signage and floral design. The result was a stunning event on a perfect day where there was plenty of wine flowing. Thanks for letting us be a part of your special day!